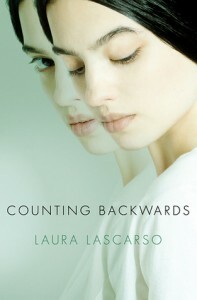 Reviewed at http://www.mandikayereads.com/archives/2540I had mixed feelings about Counting Backwards. The first half of the book was pretty much meh. It seemed very after-school special to me. I felt that Taylor was selfish and I wanted nothing more than to reach through the pages of the book and throttle her.Maybe that just means Lascarso writes angsty teenager well? 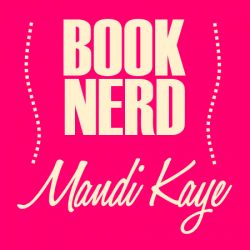 Then I realized that having any sort of emotional reaction at all to a book means that the author is doing a really good job.By the end of the book, however, my opinion changed. The journey Taylor went through and the transformation she underwent changed the way I felt about her and the book as a whole. It wasn’t my favorite book of the year. I may never read it again. But I am glad I read it.My emotions were all over the place when I read it. I felt anger, I felt incredulity, I felt disappointment, I felt sadness, I felt surprise, I felt happiness, and I even felt love. Taylor grew up during her short stay at Sunny Meadows.Don’t expect Girl, Interrupted – but do expect some behavioral issues. Expect to see immaturity. Expect to see gangs. Expect to see those who “play the game” in order to get out.Sometimes it felt too easy. Do this, say that, take this pill and magically Taylor is the girl we all want her to be. Life isn’t like that. But… books can be. That’s the point of them after all, isn’t it?